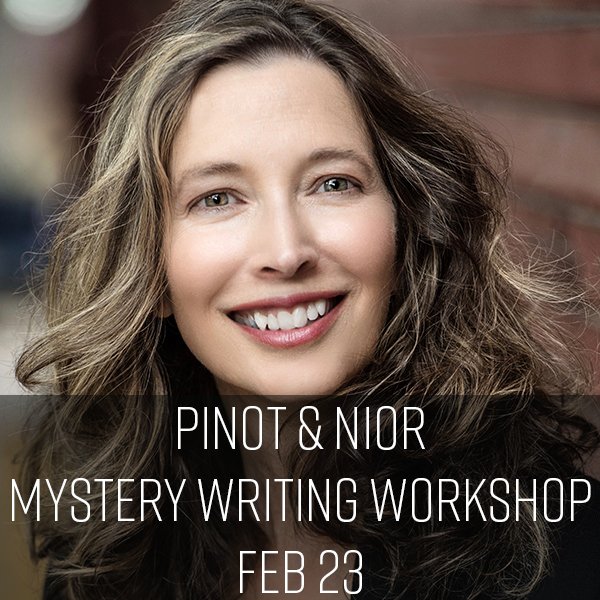 Barbara Nickless will be teaching a mystery writing workshop called Pinot & Noir, at the Murder in the Mountains, Mini Noir Festival, on Saturday, Feb. 23, 2019 from 3:00 – 5:00 p.m. in Crested Butte, Colorado. Learn to commit murder and get the inside scoop on mystery writing with an award-winning and bestselling crime novelist. Delve into structure, creating compelling characters, planting clues and red herrings, burying the bodies, and handling that essential requirement of the modern thriller – the twist. Pinot Noir flights served for participants 21 and older. It will be a thrilling weekend celebrating all things murder and mystery writing, including author conversations, a live panel exchange with Scottish crime festival writers, mystery writing workshop, youth forensic workshop, “Noir in the Bar” event, murder mystery dinner, and more! Visiting authors include Barbara Nickless, bestselling crime writer of Dead Stop and Blood on the Tracks, along with screenwriter and author of more than 50 bestselling books, Kevin J. Anderson, in a live exchange with Norwegian writers Alex Dahl, The Boy at the Door, and Jørn Lier Horst author of the The Katharina Code.